Eye exams, eyeglasses sales, general optometry, contact lenses, state-of-the-art equipment with in-house laboratory. Metro Discount: Mention "Metro," or "Crenshaw Project," or bring a printout of this page to receive 10% off services. 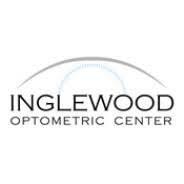 Go Metro: Inglewood Optometric Center is located at 236 N. Market St. Find your best route with the Trip Planner. More Info: For information email ingeyes@yahoo.com or call 310.671.2020.